Endopodium is focused on the development and commercialization of advanced visualization technologies for medical and surgical procedures. 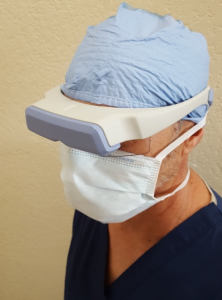 Initially, in a strategic partnership with Kopin, Inc., a leading developer of innovative wearable computing technologies and solutions, we will bring to market a new generation of head mounted displays (HMD) specifically designed for use by surgeons and interventional physicians. This third generation of HMDs incorporates the latest Kopin high resolution microdisplays, high bandwidth wireless communication and voice control capability in a lightweight “safety glasses” form factor.